University Chaplain Timothy Stevens. Stevens, who has served in his position for 32 years, will retire after June’s commencement ceremony. Stevens, who received a Ph.D. in English Literature from NU, will retire from his position in June. He has served in the role since 1986, when he first became acting University chaplain, and eventually accepted a permanent position. 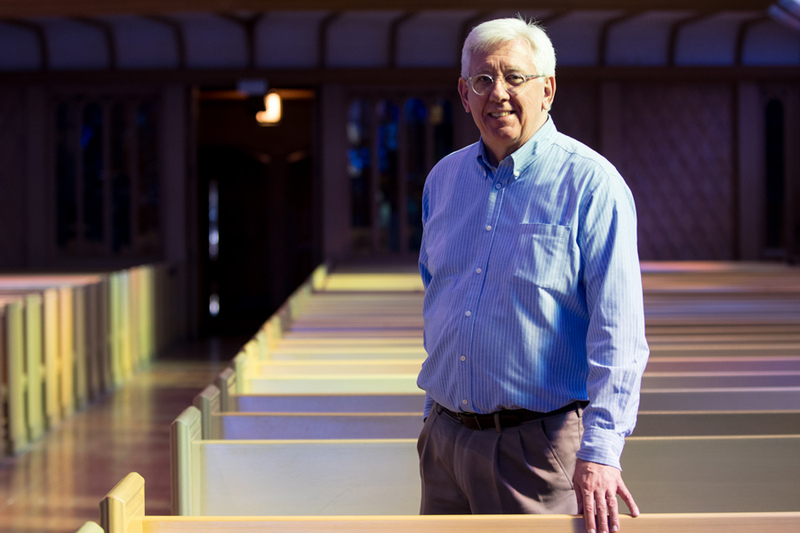 During his tenure, Stevens helped organize weekly services at Alice Millar Chapel and presided over baptisms, weddings and dozens of baccalaureate services at University commencement ceremonies. More importantly, he said his work centered on fostering interfaith understanding and promoting campus diversity. Flashing back to the time he started his term, Stevens said the campus community has achieved greater diversity since the 1980s, when Northwestern was still a “predominantly Protestant, mostly white” place. Stevens said the change resulted from growing awareness of religious diversity on campus — a trend he said began gaining momentum in higher education institutions nationwide in the ’90s — as well as specific inclusion initiatives spearheaded by the University administration. For example, as a member of the University Diversity Council, Stevens said he helped provide a platform for community members to reflect on issues ranging from racial and ethnic diversity to gender equality and sexual orientation. “As a representative of religious communities at Northwestern, I think it’s important to be at the table when we are discussing and trying to do programs and set policies around diversity concerns,” Stevens said. Starting in 1992, Stevens also co-led interfaith service trips called “Friendship Missions,” in which 10 to 15 students traveled abroad each Spring Break to build relationships with local communities. The mission of the trips, he said, is not to evangelize local people, but to let students interact with a culture they were previously unfamiliar with, which can broaden their perspectives and raise their global awareness. Julie Windsor Mitchell, campus minister and executive director of University Christian Ministry, said she has traveled with Stevens to a handful of countries including El Salvador, Haiti and Russia. Mitchell noted Stevens’ strength in quickly adapting to different situations. Stevens said he has been an activist since he started working as the editor for his college newspaper, where he raised a little “raucousness.” Though he said he is reaching the “end of the curve” of his activism, he still wants to stay involved — for example, he and his wife participated in the Women’s March in Chicago this January. After retirement, Stevens said he plans to spend time with his family, do some writing and continue working in a church somewhere else.